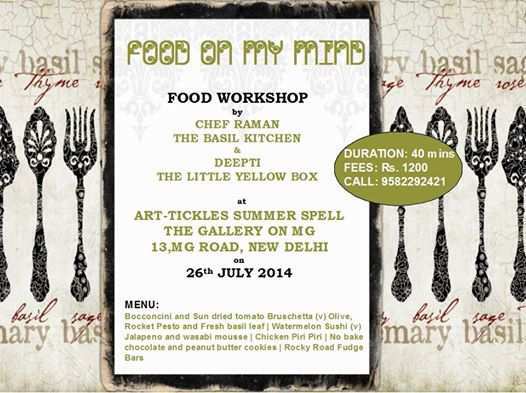 Shopping at The Gallery On MG Mall at Mehrauli. 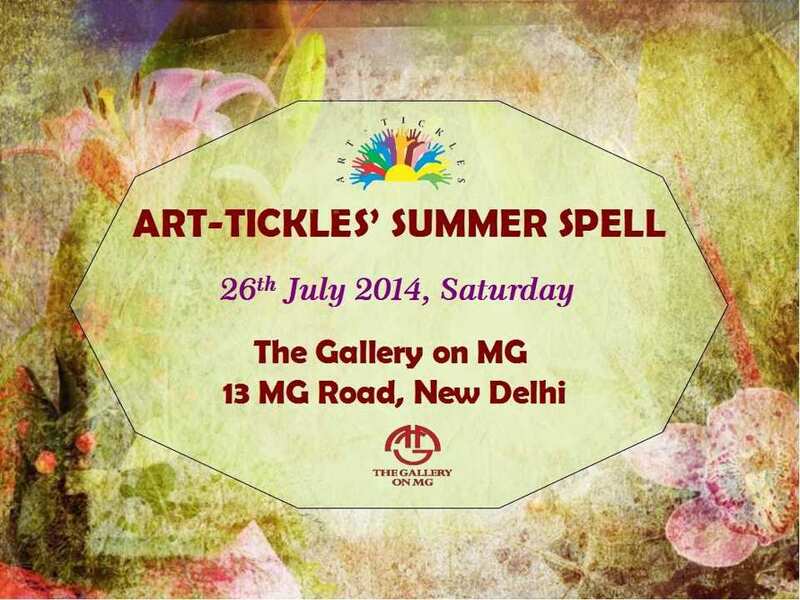 All stores, brands, restaurants, events, deals, offers, entertainment, sales at The Gallery On MG, Mehrauli. New Delhi's finest shopping destination for the finest Indian couture, men's fashion, accessories and luxury life-style, Gallery on MG is home to 56 leading luxury brands from India and across the globe. 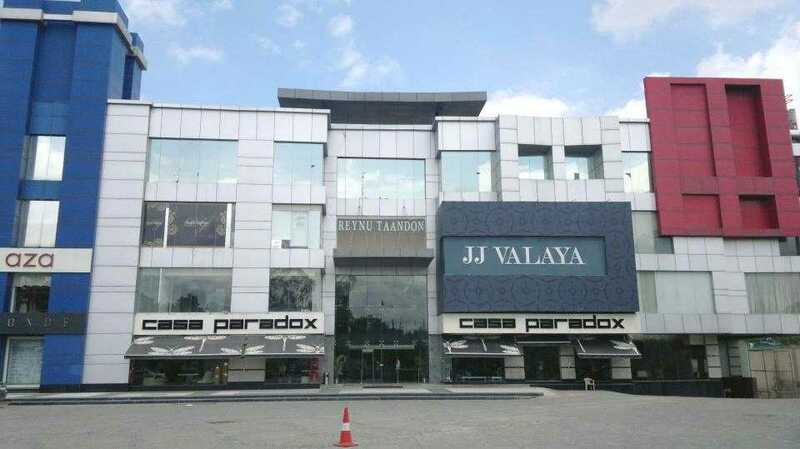 Spread across five sprawling floors, this luxury retail hub is situated in the heart of South Delhi on MG Road. 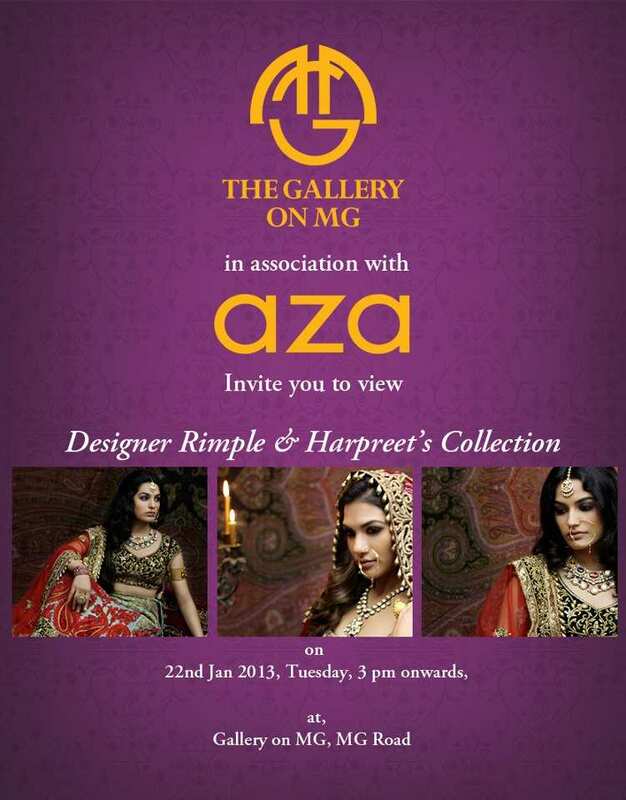 Equally accessible to the stylish people of Gurgaon, Gallery on MG is a must visit for luxury seekers with a great sense of design. Pat in the midst of Delhi's most happening shopping street for homes, Gallery on MG is positioned as a one stop shop for a discerning home. 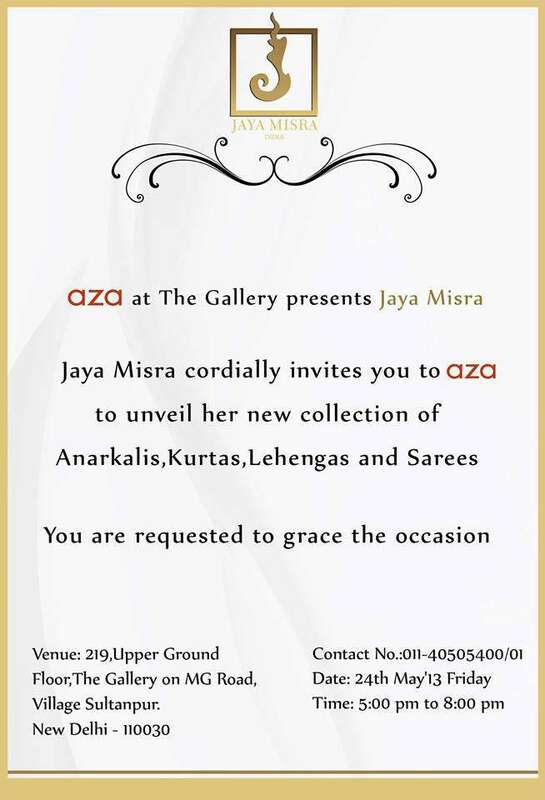 Here you can buy furnishings from world renowned brand Jaab, furniture from Casa Paradox, Versace Homes, Vissionnaire IPE Cavali, Ayaan, Home Ettu etc, music by Bang & Olufsen, silver by Alchemy Deluxe, art by Arushi Arts and carpets from Obsessions. At Gallery on MG you can find everything a good looking home needs. 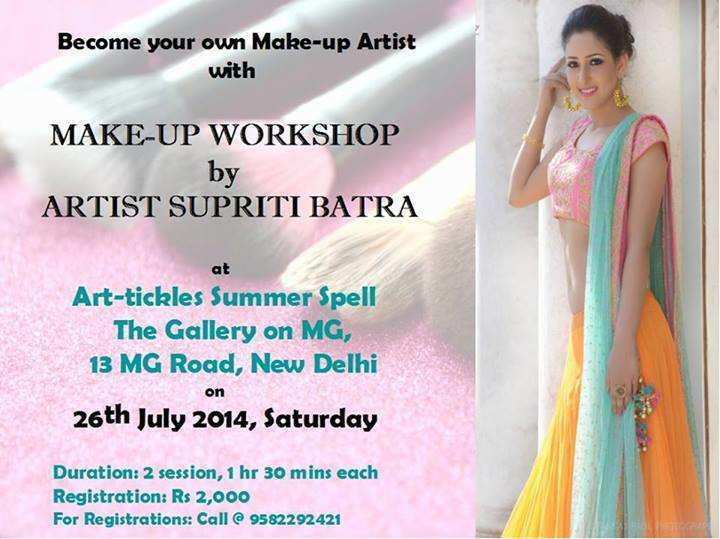 In the fashion realm as well the experience of shopping at Gallery on MG is unsurpassable. 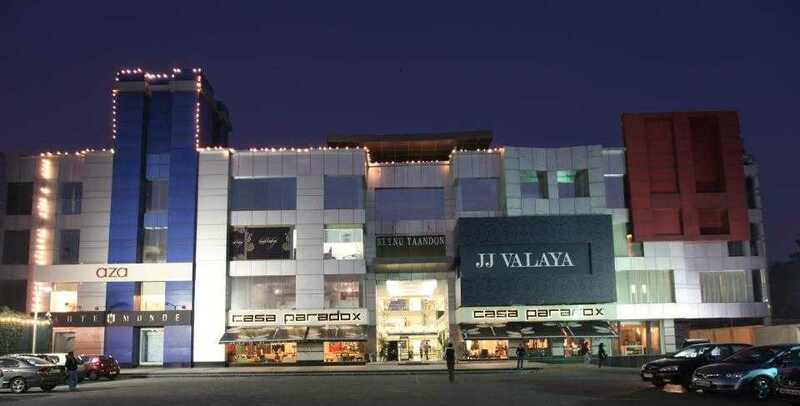 The mall offers first lines of master couturiers like Abu Jaani-Sandeep Khosla, JJ Valaya, Ravi Bajaj,Vikram Phadnis Payal Jain, Laconet-Hemant, Reynu Taandon, Charu Parasher, Anita Dongre etc. 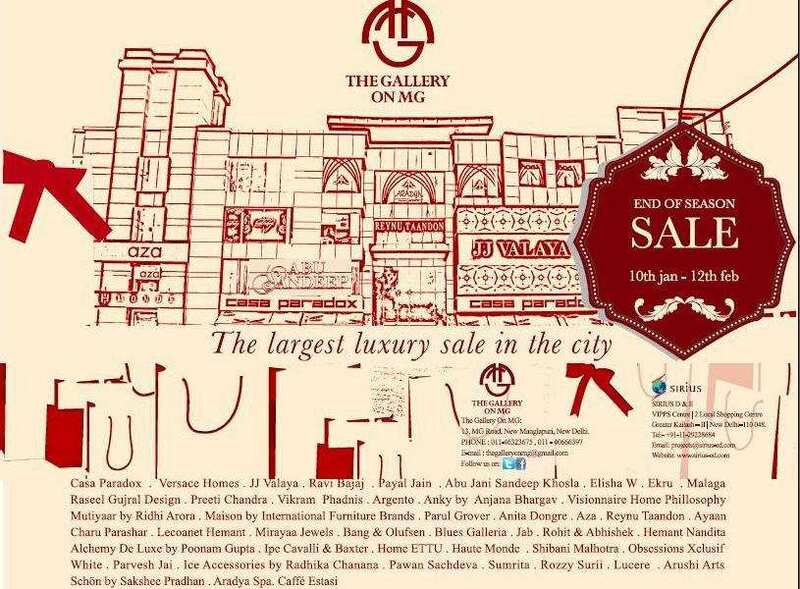 It is also that one shopping space where you can discover great designs by young couturiers like Hemant-Nandita, Elisha W, Ekru, Schon by Sakshee Pradhan amongst others.For men there is Italian suitings available at Blues Galleria,formal wear at JJ Valaya, Ravi Bajaj, Rohit & Abhishek, Pawan Sachdev etc. A calming spa: Aradya Spa on level three and a wonderful cafe: Caffe Estasi to unwind in on the upper ground floor completes the great shopping experience.